The Cheesman Park neighborhood is located just east of Cheesman Park, west of Congress Park, south of Uptown and north of Country Club. 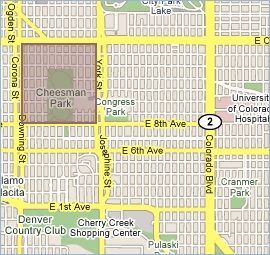 Cheesman Park is east of the city center in an area identified as Denver South East. Although Cheesman Park homes for sale are often also considered to be in the eastern end of the Denver Capitol Hill Neighborhood, there are enough differences to warrant its own neighborhood designation. 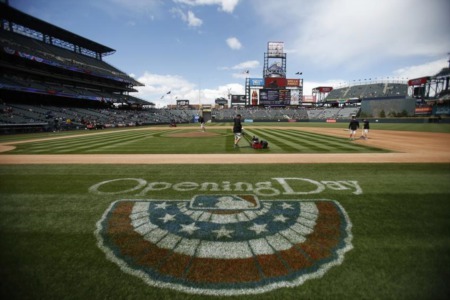 Bordered east-west by Downing Street and York, and north-south by Colfax and 6th Avenue, Cheesman Park Denver is a wonderful neighborhood tucked in the heart of a hustle-bustle area. Uncharacteristically, the four- and five-story apartment buildings bordering the park also lean toward these traditional styles with big shutters, red ceramic roof-tiles, rounded windows and ornate cornices. Many other Cheesman Park homes for sale are largely characterized by single-family Denver squares, Victorians and bungalows mixed with smaller, older apartment buildings that seem to blend into the overall neighborhood’s aesthetic. The high-rise apartments that surround the park resemble watchful giants. 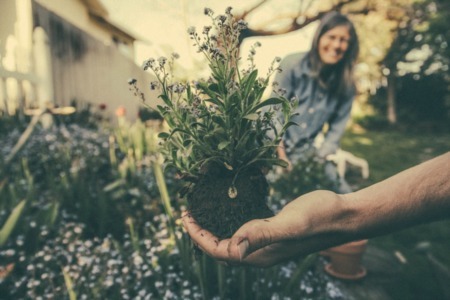 The neighborhood is accented with tree-lined streets and wide sidewalks that are perfect for (and populated with) an abundance of dog-friendly and active residents.